Or if you've already stayed at Davar, please tell us how much you enjoyed your stay with us. Please do not hesitate to contact us by email, phone or post for any queries. If you are visiting Davar and need any special arrangements please let us know also. We pride ourselves on using the best local produce. Everything from our Jam and Marmalade, Coffee, Yoghurt, Breakfast meats and eggs (in season, even the fruit in our fruit salad) is either made by ourselves, or sourced from carefully selected suppliers here in the Highlands. Our tableware is made in the village by Highland stoneware and even the soaps and shampoos in your room are made with love in the Scottish Highlands. We will also aim to cater for any dietary needs, but we are a fair distance from a major shopping centre, so please try to give us as much notice as possible so we can make sure we have what you need. 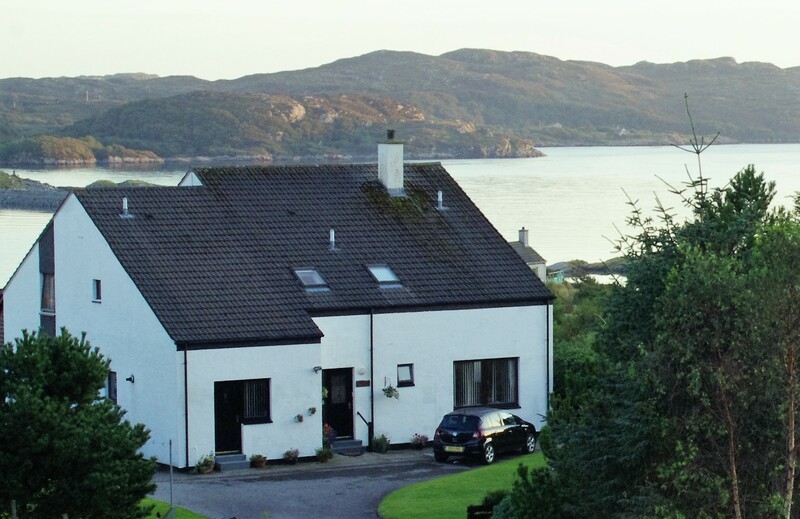 Lochinver is situated in the south west corner of Sutherland in the North West of the UK. From Inverness, drive North on the A9 across the Kessock Bridge. Follow the dual carriageway to the first roundabout, 6 miles further on. Take the 2nd exit on your left from the roundabout and enter the A835 road signposted for Ullapool. Note for visitors with hire cars and relying on Sat Nav - the sat nav may try to suggest the 3rd exit (A9 North) - this route is shorter, but slower and less scenic due to a single track road for 30 or so miles. After another 3 or 4 miles on the Ullapool road, you will come to another roundabout. Take the 2nd exit on your left and continue NorthWest on the A835 to the village of Ullapool, some 45 miles further. At Ullapool, the road bears sharply to the right (just after the petrol station). Follow the road North for another 15 miles until you read a t-junction (Ledmore junction) turn left and join the A837 to Lochinver. The village is 19 miles from Ledmore. As you come down the hill into the village, turn right over the old Inver bridge and follow the road up the hill. Davar is the second white house on the left about 300m up, just after you go over the top of the hill. Our rates start from £60 for a single, (£90 for 2 persons), but please check our booking system for latest rates and if you book direct, don't forget to use the code "Davar10" to ensure a 10% discount on the already lowest rate available. All of our prices include breakfast and all rooms are en-suite. © 2018 Cadaleah Web Design, All rights reserved.